When I was a kid, I was both fascinated and terrified of what lurks in deep space. I would watch these documentaries that were voiced by people who were trying to sound mysterious, and my fear of UFO abduction only seemed to make these broadcasts even more harrowing. Yet, I always gazed at the night sky (still do to this day) to think about what’s out there, who might be hovering over us, and what we don’t and may never experience from worlds beyond our own. The recent surge of bands who bask in the darkness of space have added to my interest and imagination (here’s where you can drop in your Darkspace reference, though there are so many others such as Mare Cognitum, Battle Dagorath, Hellebore, Archivist, etc. ), and the exploration musically these bands unfurl has made it one of my favorite sub-sub-genres. This all comes back to mind with the release of “EOS” the debut record from Starless Domain, whose deep field black metal provides an enthralling, terrifying trip into the stars, into galaxies well beyond our own, where we and potentially any human within the next, what, millennium, will never see. Comprised of guitarist/drummer/vocalist AW, synth player/guitarist/vocalist AEF, and bassist/vocalist JR, the band stretches their vision over 58 harrowing minutes and 4 tracks, though it’s better to call them movements of a greater whole that is woven together front to back. The best experience with this album is full digestion from start to finish, as it’s the only true way to take this trip into the void. “EOS I” starts the record with strange noises and overall eeriness that folds into a feeling of being lost in the stars and alien cries spiraling, which happens repeatedly over the entire record. The track opens in full and hammers, while the screeches keep slicing, the music twists and progresses, and the intensity keeps building. The track swims into a sense of ease before opening back up, with shrieks raining down, growls emerging and swallowing space, and the drums clobbering. The vocals slice and echo while it bleeds into “EOS II” and trickles with acoustics and synth chirps, the ones I remember from those old space docs. The track then rips itself apart, as savage punishment arrives, and immersive melodies enrapture, with guitars ringing back to acoustics. When the pace picks back up, it’s a frenetic assault before things get slurry, making it feel like you’re bleeding into a new realm, and this is your welcome. The shrieks then slash back with your head filling with cosmic energy, keys rush in, and the song pushes forward, with the chaos subsiding and melting into the next chapter. “EOS III” has the keys rushing in like waves before the song punishes before a dreamy sequence takes over and captures your imagination. The track wafts psychedelically as acoustics rejoin and spark visions of alien terrain, leaving your mind numb. The track then bursts as death growls spit shrapnel, and the song lurches into the mud. The shrieks dive bomb, while the mauling, smothering final moments prepare you for entrance into finishing cut “EOS IV.” This final shift blisters right away as synth slides shades into the mix, and the shrieks echo as acoustics emerge. Cavernous growls settle behind the strange wall of keys, while synth gasps and monstrous fury become bigger factors. The drama wells up and hints at boiling over completely, with the keys zapping through like lasers, guitars droning out, and everything fading into a bizarre cloud of noise in the sky. “EOS” is a strong, hypnotic listen that’ll lure you in with its repetition, mind-bending playing, and vocals that sound like they’ve been howled from eons away. 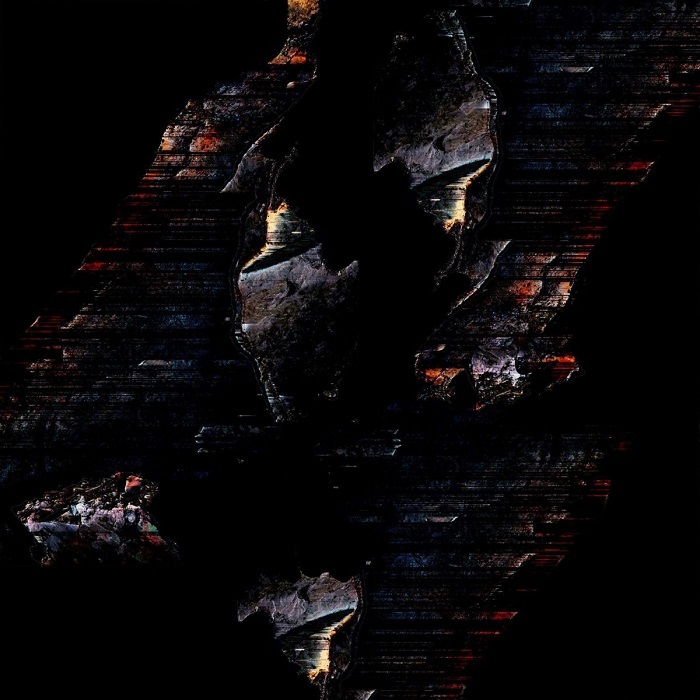 Starless Domain’s contribution to outer space-inspired black metal is a significant one, a record that probably is best absorbed at night when you can have a better view of the cosmos. There’s no way of knowing what exactly is out there staring back at us, and this music won’t quell any of those psychological fears you hold inside.